Motorcycle accidents are not uncommon but the worst consequence is that some 80% of accidents result in injury or death. When compared to a 20% injury rate for passenger vehicles, you see the risks involved in riding a motorcycle. Whether you are riding in Lowell, Massachusetts or any other village, town or city, motorcyclists need to ride defensively at all times. 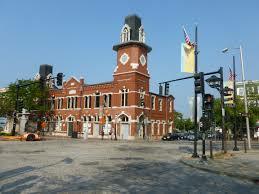 Lowell is one of our state’s larger communities with a population of over 110,000. It is the home of UMass-Lowell and the hometown of Jack Kerouac, an iconic writer of the Beat Generation, and academy award winning actress Bette Davis. Two recent motorcycle accidents highlight the risks of motorcycle riding. In one, a 25-year old male from Lowell was on a bike on Interstate 93 near Hookset when he noticed a police car following him after officers had been alerted to his erratic riding. The man decided to evade the trailing patrol car even though the officer properly refrained from a high speed chase. The rider, unfortunately, turned into a rest area at a high rate of speed and struck a pole, causing him fatal injuries. In another accident involving a motor scooter on Middlesex Street in Lowell, a disabled woman on a mobility scooter was struck by an SUV and seriously injured at around 10:00 at night. The driver fled the scene and has not been found. The woman’s distraught daughter has been pleading for the driver to turn himself in. In the first accident, speed was definitely a factor although the rider’s reported erratic driving could have been the result of alcohol or drugs, which is why he may have decided to make the fatal decision to elude police. In the Middlesex Street incident, we can only surmise as to why the SUV driver struck the scooter and then fled the scene. Many motorcycle accidents occur at intersections or while a passenger vehicle is making a left turn. In most of these accidents, the motorist failed to notice the approaching motorcycle rider or misjudged the rider’s distance or speed. Getting hit from behind in Lowell is another factor. Either because a motorcycle is more difficult to notice or the motorist was simply distracted or driving too fast, getting hit from behind can cause serious injuries to a rider or bike passenger since there is no protection from the colliding vehicle. All motorists, including motorcycle riders, are required to possess minimum liability coverage of $20,000/$40,000, which means that anyone you injure can collect no more than $20,000 under your policy or $40,000 for multiple claimants that is to be divided between or among them. Uninsured (UM) and underinsured coverages (UIM) are not mandatory and PIP, or personal injury protection, is not available for motorcycle riders. PIP can provide up to $2000 for wage loss and medical benefits regardless of fault for passenger vehicle owners before health insurance takes over, or $8000 if no private health insurance is available. However, the medical expenses for the average motorcycle accident injury is $33,000, which will not cover lost earnings, rehabilitation or pain and suffering. If you were injured by the fault of a motorist who had minimal coverage, you will likely be seriously under-compensated unless you possess sufficient UM and UIM. It is highly recommended that your UM and UIM coverage be at least $100,000 though $250,000 is more appropriate if you ride a motorcycle. You can purchase up to $500,000. The woman injured in the scooter was hopefully covered by uninsured motorist coverage as this will cover her in a hit-and-run accident. An investigation of her accident may reveal other possible factors that could have led to the accident that only an experienced and resourceful personal injury lawyer can uncover. Your damages in a motorcycle accident can be devastating. Many injuries include broken limbs, fractured pelvis or ribs, facial fractures, traumatic head injuries, disfigurement, and paralysis. Even in a low speed impact, you can easily be ejected and land on hard pavement, or collide with another vehicle,or some other object. If you hit the pavement, you can suffer severe skin rashes. Massachusetts has a 3-year statute of limitations, or deadline, for filing a personal injury or wrongful death claim. Our attorneys have been representing motorcycle accident victims and their families for decades, regardless if the claim involves a hit from behind in Lowell accident, hit-and-run, or wrongful death. Our clients have recovered millions of dollars in compensation over the years. Call our offices today at (617) 227-7423 to discuss your injury claim.